I love most JRPGs that allow me to get to know the characters deeply, but I particularly love ones that have their own special systems to do this with. Some of my favourite JRPGs such as Persona 4 Golden and Ar nosurge feature brilliant systems based around Social Events and Interactions that raise the plot while giving an extra gameplay mechanic and I'm happy to say that Fire Emblem Awakening’s Support system is no different. 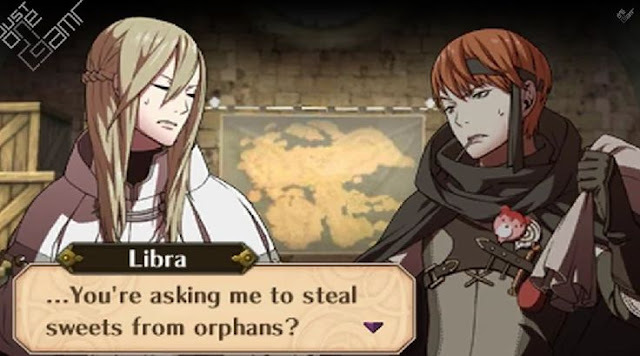 While I’m definitely enjoying the tactical nature of Fire Emblem Awakening, its support system is done in a really meaningful way that closely ties itself to the core story. With well-written dialog featuring humour, friendship and romance, I haven’t unlocked a single scene I haven’t enjoyed yet and it’s become my favourite thing to look at after battles. Fellow fans of fun and colourful characters will likely enjoy Fire Emblem Awakening’s Support system since all of the character dialogue is really well-done and gives a much needed insight into some of the minor characters in the story. Because the main story is quite serious and full of crucial and emotional moments, it’s rather refreshing that the Support system gives backstories to many of the characters through humour and banter, without filling the main story with unnecessary filler. Getting to know each character feels almost natural, with characters usually bringing up little details about themselves during everyday moments such as while doing the laundry or after dinner rather than in elaborate plot devices. Fire Emblem Awakening’s Support dialogues also give an interesting look at the environment and circumstances the characters are living in. It’s never really emphasized that the characters are all living in each other’s pockets in a camp during the main story, so it's in the Support system that we're given a look into random day-to-day moments and the group's circumstances. It’s a great insight into the group’s relationship and a great way to humanize some of the strong characters such as Chrom or Frederick by showing another side of their personalities. Character relationships play a role on the battlefield in Fire Emblem Awakening and while they only make a minor difference to the overall outcome of a battle, they can sometimes give just the required amount of luck needed to win a difficult battle. Characters fight better in pairs, so taking part in Support conversations gives higher attack and a higher chance that a member of the pair will block an attack. This can be significant, especially for players using Fire Emblem’s Classic mode which features Permanent Character Death meaning every evasion could basically save characters life. Also, on a more personal level, watching my carefully chosen pairs fight together feels much more satisfying than having them fight alone, so I take advantage of this as often as I can. What’s probably fueled my love of Fire Emblem Awakening’s Support system most is my new favourite accidental mini-game - Matchmaker. This isn't an official term, but having the ability to make platonic and romantic relationships with over 30+ characters has turned me into a strange calculating Cupid when it comes to who predicting who will have the best S rank dialogue and results. 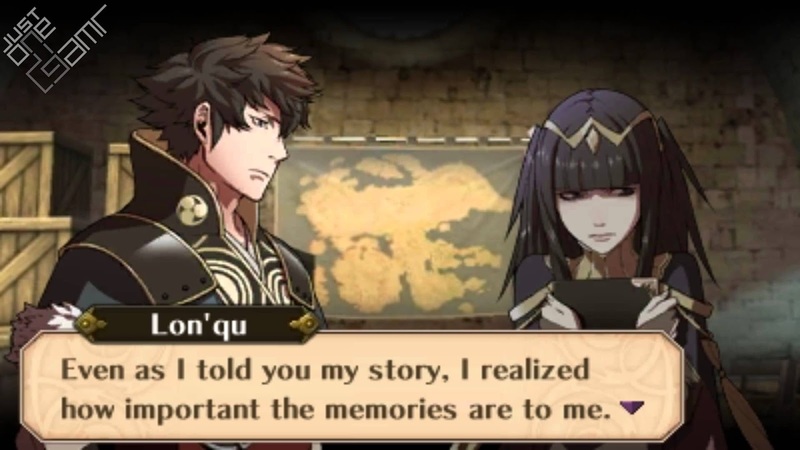 It’s certainly possible for characters to have platonic relationships as well as romantic ones and there are plenty of great cutscenes for both, but the romantic relationships gave me some of the biggest surprises I've had from Fire Emblem Awakening. I've seen amusing banter, heartfelt moments and even common anime tropes used and other than perhaps some of the final scenes when a relationship is maxed out, none of it feels corny or out of place. It's also fun to match strange friendships together as well and finding which characters have a secret rivalry or small things in common, but I definitely enjoy matching up couples most. Whether you’re interesting in playing Cupid or not, having the option to pair off so many characters is a fantastic feature and I'm really impressed with the sheer amount of quality dialog moments available to enjoy. Fire Emblem Awakening is many things - a great tactical game, a fun game and a fantastic social experience that somehow makes every character interesting and worthwhile. It’s thanks to the fun Support system that whenever I get a new Support dialog, I have to watch it right away because it'll bring me better battle pairs, amusing banter and an understand of Fire Emblem Awakening's roster of characters. It's because of the Support system that I carefully plan my battle with party around my pairs and I make sure to only get the right pairs to S rank. The amount of pair customisation and dialogue in the Support system is huge, which makes me think if it’s this good in Awakening, the idea of playing Fire Emblem Fates and experiencing a (hopefully) even better version of this experience is almost a little too exciting. 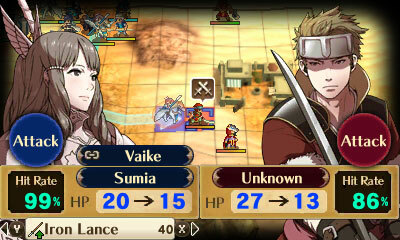 I haven't finished Fire Emblem Awakening yet, but this is definitely one of parts of the game I enjoy the most. You can pick up Fire Emblem Awakening for 3DS at Play-Asia.com! What's your favourite part of Fire Emblem: Awakening? Who's your favourite pair?